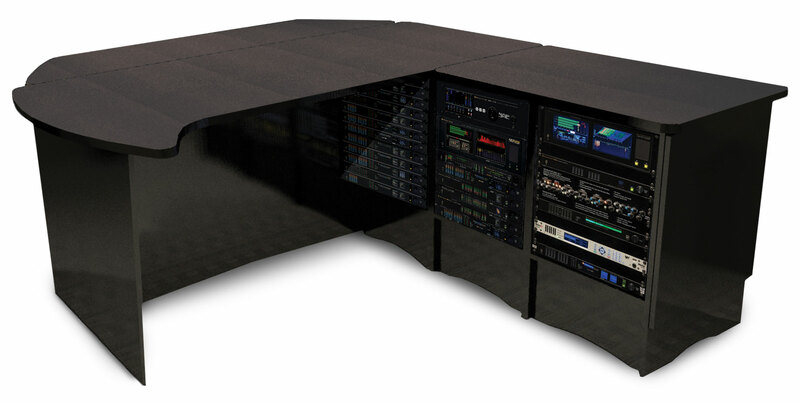 QuickLine studio furniture delivers Wheatstone ergonomics and comfort in modular, quick-shipping configurations at a price that won’t break the tightest budgets. We’ve developed 32 functional configurations for QuickLine using only five modular components. This flexibility lets you easily and economically modify your configuration to meet changing requirements. Installation is easy. Delivered knocked-down to minimize shipping costs, QuickLine furniture arrives with all necessary hardware and assembly instructions. Racks below the counters and standard punch-block integration make equipment installation a snap. Durable, high-pressure laminate tops and countertop edges help your QuickLine furniture keep its attractive appearance for years to come. Finish is Wilsonart Carbon Mesh. Moderately priced and suitable for rooms of any size, SmoothLine™ furniture offers freeform countertops, modular casework based on standard equipment racks, concealed hinges, and rounded edges. SmoothLine is available with finished interiors. Exteriors are finished in high-pressure laminate. Extensive laminate and Marmoleum® options are available for casework and countertops.